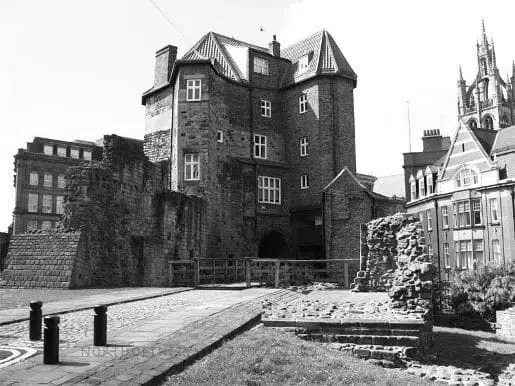 There is plenty of history surrounding the city of Newcastle and that brings with it a number of ghost stories. 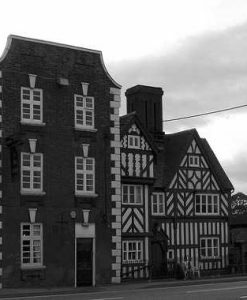 With links to Kings and American Presidents, some of the old buildings around the town have fascinating tales to tell. Washington Old Hall is a fairly small 17th century manor which was once the home of George Washington’s family and is now owned by the National Trust. 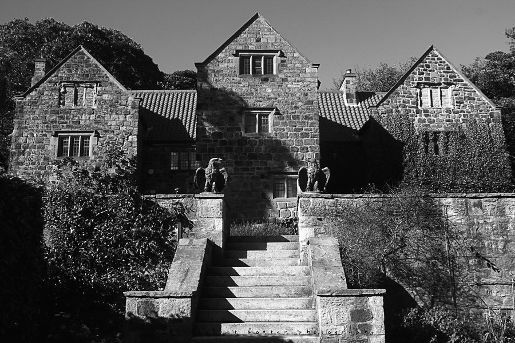 It is said to be haunted by a grey lady who has been seen around the property and is often said to be crying. 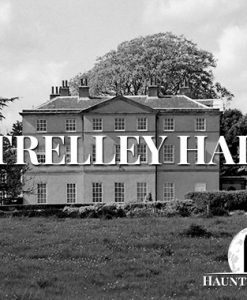 There are also stories of a white lady who sits in the panelled room and then gets up and walks through a wall – in a spot where there would have originally been a doorway before the hall was rebuilt. There is also a man who is said to stand on the balcony and watch the many weddings that take place in the building nowadays. Finally, there is the haunted staircase. Staff often hear someone running down the stairs followed by a thump as though they have jumped from the last few steps. The interesting thing is that the staircase does not belong to the building, but was brought in from an old hotel in Surrey so it is thought that maybe the ghost on the stairs came with it! For a couple of months in 1646, Charles I was held by the Scots in Newcastle’s Pilgrim Street. However, legend says that he was permitted to play golf on the Shieldfield and that on the way back he would stop off at the Old George Pub for a drink. Today, what is now known as the ‘Charles I Room’ is still there an in fact, so is the actual chair that Charles I sat in when he visited. According to some visitors, Charles I himself is still there too. From time to time visitors have reported the outline of a grey mist like figure sitting in the chair. Could this be the spirit of Charles I still paying a visit to the pub just like he used to in life? Several of the staff say that they feel as though they are being watched and there are even certain areas that they will refuse to enter alone! 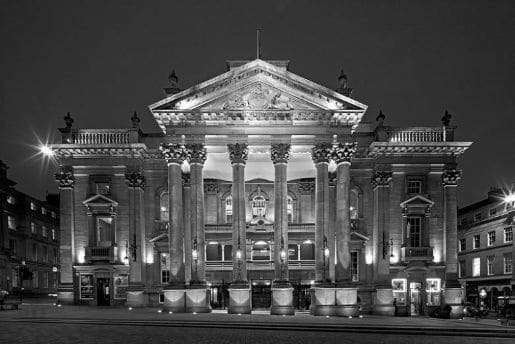 One of Newcastle’s most distinctive looking building is The Theatre Royal an it also happens to be one of the most haunted buildings in Newcastle as well. The theatre opened in 1837, but in 1899 a fire completely gutted the interior and it remained closed for two years while renovation work was undertaken. Incidentally, the fire occurred straight after a performance of MacBeth, which as most people will know is considered by the theatre community to be cursed! However, the spirit that is said to haunt The Theatre Royale actually has nothing to do with ‘the Scottish play’! 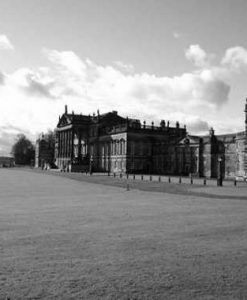 The Grey Lady has been spotted by staff on a number of occasions over the years, but there are few if any accounts from members of the general public. It is not exactly clear who she was in life, but the most common theory surrounding her ghost is that she was a woman who threw herself to her death from the upper gallery, landing on the seats below. 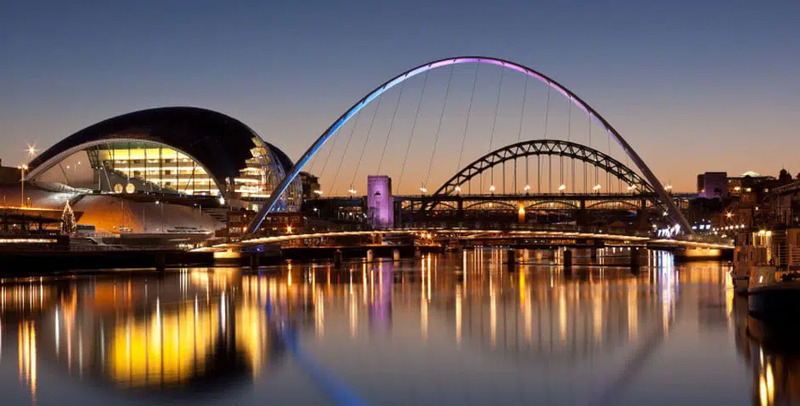 Marsden Grotto is actually in South Shields rather than Newcastle itself, but it is only a few miles away so we think it still deserves to be included as one of the most haunted places in Newcastle. It was originally built in 1782 by a local quarry man named Jack Bates. The grotto is built right into the cliffs of Marsden Bay and for 10 years Jack and his wife lived there and operated a tea room that was very popular with the tourists. However, when Jack died the grotto fell into disrepair. In 1826 it was purchased by Pater Allen who not only restored the existing building, but also extended it to be a 15 room mansion. Today, Marsden Grotto is a popular restaurant and pub. 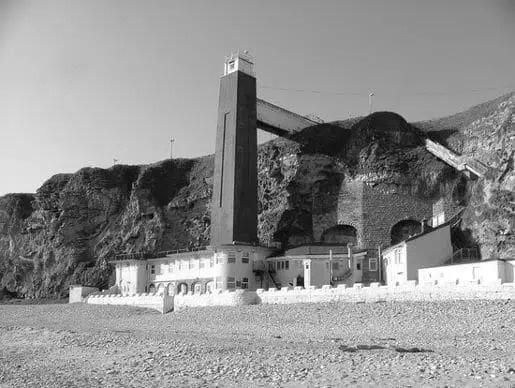 The Marsden Bay area has a history that is peppered with tales of smugglers, mysterious deaths and countless suicides, so it doesn’t really come as a surprise that Marsden Grotto is haunted. There have been reports of various strange occurrences including strange unexplained knocking from the cellar, chains by the bar rattling on their own and even whispering when there is nobody around. Perhaps the most mysterious occurrence of all is the bare human footprints that appear on the floor of the bar from time to time and which cannot be washed away! Staff and guests alike have witnessed the apparition of a man in the lower cave bar and several shadowy figures have also been reported. Another stop that should be made on any tour of haunted Newcastle is the Cooperage Pub, or more accurately, the alleyway right next to it. This alleyway is said to be haunted by Henry Hardwick. The story says that Hardwick was attempting to escape a press gang, but they caught up with him and cornered him in the alleyway. The men were extremely angry that he had tried to get away and ended up beating him to death and even gouged out both of his eyes. Witnesses claim to have seen his ghost in the alleyway at night and he apparently just has dark sockets where his eyes once were! Needless to say, this is a pretty terrifying sight to encounter on a dark night! Newcastle’s Castle Keep is considered to be one of the finest remaining examples of a Norman Keep. It was once part of a medieval fortification that was built by Malcolm Courthouse who was actually the son of William the Conqueror. The Keep dates back to around 1172 when it was built by Henry II and ‘The Black Gate’ was added around one hundred years late by Henry III. 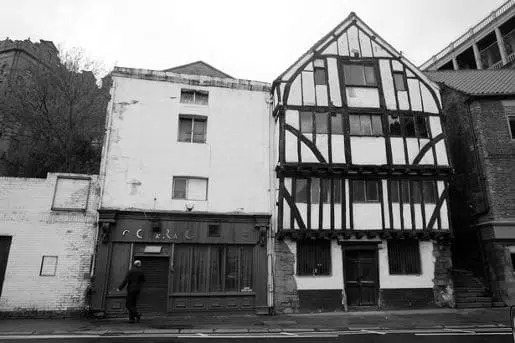 Over the years it has become known for various paranormal phenomena including phantom hands, disembodied voices and even some poltergeist activity and it is said to be one of the most haunted places in Newcastle. 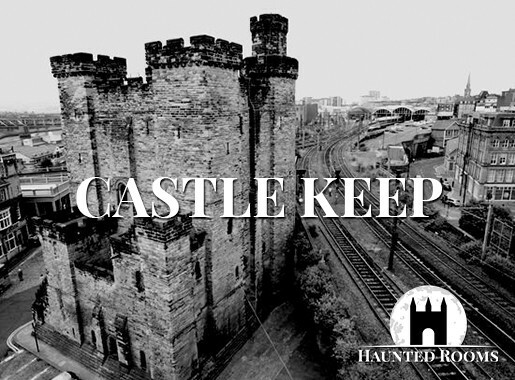 There are actually a wide range of ghost stories that are linked to Castle Keep with visitors describing lots of different strange occurrences including unexplained footsteps, strange mist like forms and cold spots. 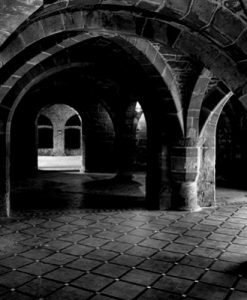 Many visitors have captured dark shadows, orbs and mists in their photographs taken during their visit and several claim to have been touched by unseen hands. One area which seems to serve as something of a focal point for the paranormal activity is The Queen’s Chamber. Visitors have reported hearing chanting coming from the room and this has been attributed to ghostly monks. There are also frequent sightings of a female apparition seen in The Queen’s Chamber and also in the chapel. Visitors have also reported being scratched and pushed by unseen hands. However, the most famous ghost story linked to Castle Keep is that of ‘The Poppy Girl’. Her story is a tragic one. She is said to have been a flower girl who was imprisoned because of her debts. While in prison, she was raped and then beaten to death by male prisoners. She is often seen on the stairs of the keep and the smell of flowers usually accompanies her. As mentioned above, The Black Gate was added to Castle Keep in the mid 13th century to serve as a barbican to the castle itself. At the time of building, it would have featured two drawbridges and a portcullis. 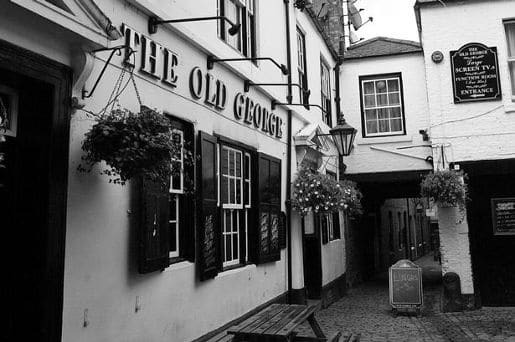 Over time, the Black Gate was converted into housing inside and then at one time a pub, but eventually it became a slum. The hauntings that are linked to The Black Gate seem to be very similar in nature to those of Castle Keep – footsteps, strange mists and cold spots. However, there are also some reports of a woman who stands on a balcony watching those who pass underneath. 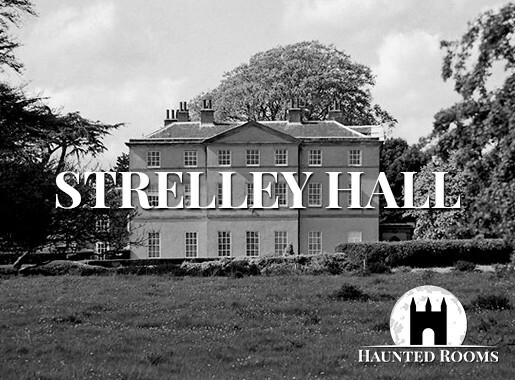 Other visitors have reported seeing a ghostly figure holding a baby, black shadowy figures and the overwhelming feeling of some kind of ominous presence. The Black Gate is also said to have instances of Poltergeist activity and many visitors have reportedly left with scratches and bruises from a very unwelcoming spirit!